PHILIO Z-Wave PIR Sensor is a small, battery powered motion sensor with a 360° adjustable viewing direction. The PHILIO Z-Wave PIR Sensor is a small, battery powered motion sensor capable of detection motion up to 10m. The sensor is attached to a magnetic mount which can be placed on a wall or ceiling and allows for 360° adjustable viewing direction. This device also includes a lens cover which can be used to block the sensor's view of an area where detection is unnecessary. The PHILIO Z-Wave PIR Sensor is perfect for controlling the lights in any household. You can set them to switch ON when someone enters the room at night-time but not daytime. 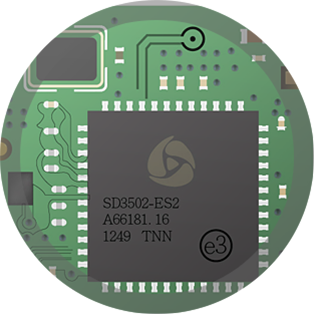 This sensor can also be used to trigger security / warning applications within a Z-Wave network, activate lighting scenes and turn wireless switches ON/OFF.